Chimoio is the capital of Manica Province in Mozambique. It is the fifth-largest city in Mozambique. Chimoios name under Portuguese administration was Vila Pery. Vila Pery developed under Portuguese rule as an important agricultural and textiles centre. 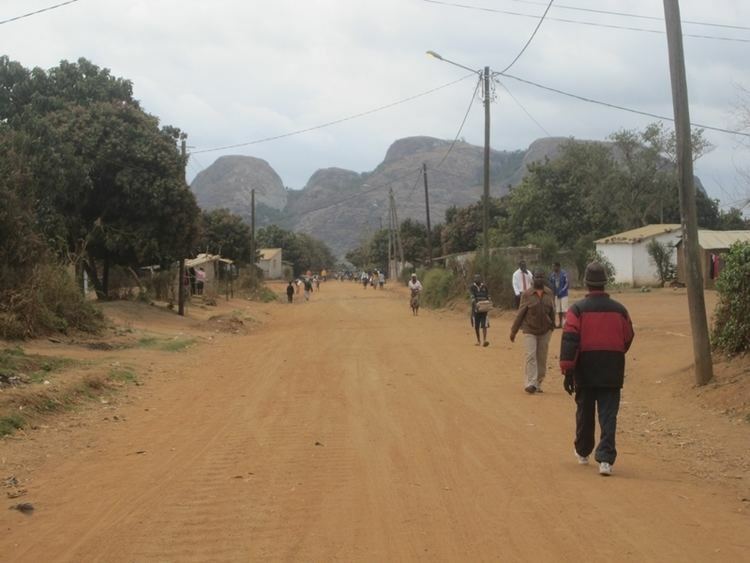 The city of Chimoio, capital of Manica Province, lies on the Beira Corridor at an altitude of 750 metres, linking the coast and the interior of the continent. The name Chimoio comes from one of the sons of Ganda, chief of the totemic Moyo clan, who came from M´bire and settled in those lands. Oral history says that Chimoio, who was a great hunter, once killed an elephant in the lands of another clan. Chaurumba, their chief, judged Chimoio’s behaviour to be a crime and ordered his immediate execution. Ganda then requested permission for his son to be buried in Chaurumba’s land and for one of his relatives to settle close to the grave in order to tend and watch over it. From then on, all descendents of the guardians of Chimoio’s tomb, together with the site of the tomb, came to be called Chimoio (which in the local dialect – citewe – means “little heart”). The strategic position of that region made it a privileged centre through which products passed from the hinterland to the coast.